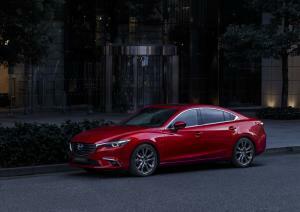 The Mazda6 will also be the first Mazda to feature the company’s new G-Vectoring Control, or GVC. The system works by adjusting engine drive torque in response to steering inputs, with the result – Mazda claims – being increased traction and therefore driver confidence. 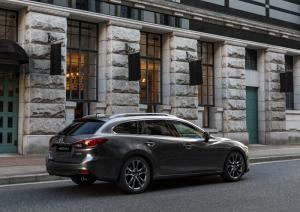 Although the familiar 2.0-litre petrol engines of 145 and 165PS, plus the 2.2-litre diesels in 150 and 175PS forms will continue, the diesel units have received a number of changes to increase responsiveness and reduce noise. 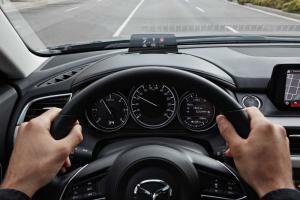 A new High-Precision Boost Control is said to sharpen throttle response thanks to improved boost control; a Natural Sound Smoother dampens diesel knock; and a Natural Sound Frequency Control alters engine timing to neutralise pressure waves. 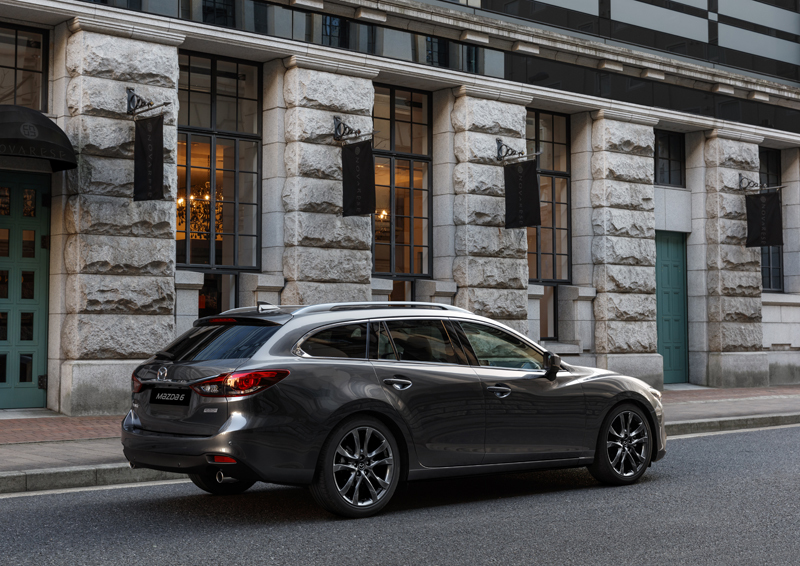 On top of this, Mazda’s engineers have worked to improve sound insulation across the range, with measures such as new door seals, tighter panel tolerances, laminated side windows, and more sound insulation materials added to the underbody, rear console, headliner and doors. 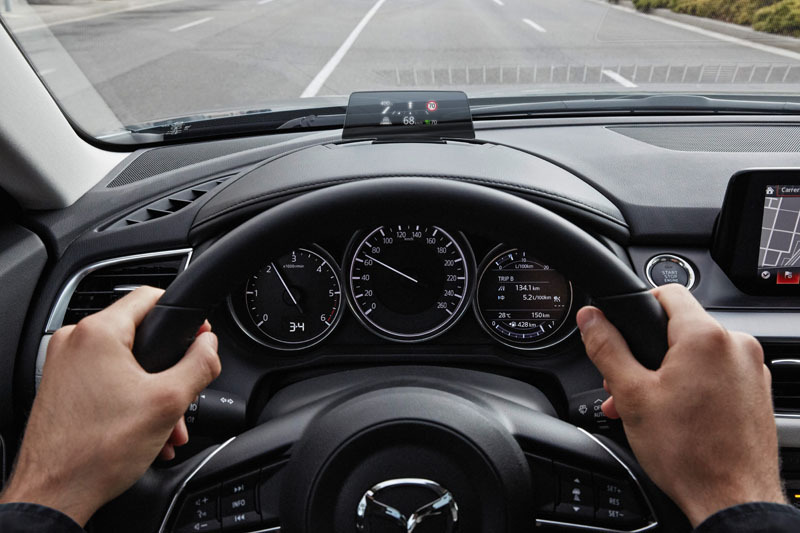 Elsewhere inside, there’s a new steering wheel, an updated head-up display with full colour, and a new 4.6-inch driver information display with improved graphics. A new Traffic Sign Recognition function identifies no entry and speed limit signs, while an updated Advanced Smart City Brake Support system replaces the previous infrared laser set-up with a forward-facing camera that can detect other vehicles across a wider speed range. Exterior changes are limited to a new colour – Machine Grey, as seen on the forthcoming MX-5 RF. 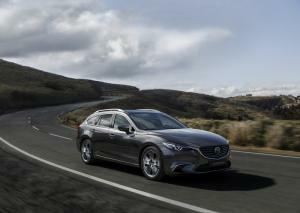 Despite the changes, prices remain the same, with cars arriving at dealerships later this autumn. You can now read our 2017 Mazda6 Review here.